There are a number of ways you can support musicians across Africa who find their musical freedoms under threat. Sign up to bring the film to your town or city, buy albums of the musicians in our film, or donate to the MUSIC IN EXILE fund. Details below. A good way to support musicians fighting against censorship and violence is to buy their music. It’s easy, provides income to the musicians and you get an incredible sonic experience out of it as well. 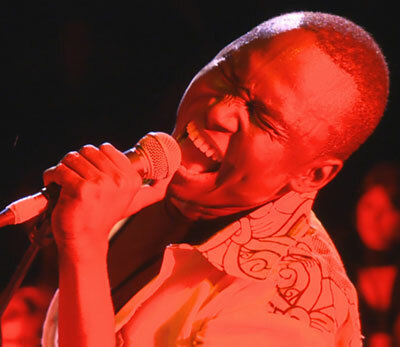 You can buy music from Songhoy Blues, Khaira Arby and Disco’s band Tartit from any independent record store or online retailer as well as Songhoy Blues website and Khaira Arby’s record label. Can the film screen in my town? If you would like to host a screening at your school, local theatre, local festival or even in your own home, please send an email to johanna@music4mali.com. Please include your name, age and the name of your town or city and the festival, school or venue you would like to screen the film at! We will contact you on how best to bring the film to screen near you! The Music In Exile Fund has been created in partnership with Index on Censorship, an international organisation promoting and defending the right to freedom of expression since 1972. The Fund will contribute towards Index on Censorship’s Freedom of Expression Awards Fellowship, which is a year-long structured assistance programme to support those facing censorship. The funds will be used to support at least one musician or group nominated in the arts category of the awards. This will include attendance at the awards’ fellowship week in April 2016 – an intensive week-long programme to support career development for the artists. This also brings training in advocacy, fundraising, networking and digital security – all crucial for sustaining a career in the arts when under the pressure of censorship. The fellow will also receive continued support during their fellowship year.